This year's MISS USA® competition is a not-to-be-missed three-hour special programming event, airing Sunday, June 5 (7:00-10:00 PM ET live/PT tape-delayed) on FOX, which will conclude withMISS USA 2015 Olivia Jordan crowning her successor. Fans should stay tuned for more exciting announcements about the competition. 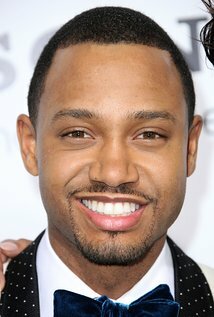 Host of FOX's new dating series, COUPLED (airing Tuesdays @ 9/8c), Terrence J is a charismatic television and film actor, philanthropist and author. A former co-anchor of the international news program "E! News," the three-time daytime Emmy® Award nominee also spent seven years hosting the long-running music countdown show "106 & Park." Most recently, Jenkins starred and produced the hit film "The Perfect Match," opposite Paula Patton. He also has appeared in films including the "Think Like a Man" franchise and is the best-selling author of "The Wealth of My Mother's Wisdom." Ashley Graham has worked in numerous areas of the fashion industry including editorial, catalogue, runway, commercial, television and film. In 2015, she starred in #CurvesinBikinis, a campaign with swimsuitsforall that made her the first plus size model to appear in an ad in Sports Illustrated's Swimsuit edition. In 2016, she was selected as a SPORTS ILLUSTRATED SWIMSUIT Rookie and also landed one of three covers for the magazine, making her the first plus size model to ever be featured on the cover of Sports Illustrated. In January 2016, Graham was named to Forbes magazine's coveted "30 Under 30" list. A business-savvy entrepreneur, Graham has collaborated with Canadian brand Addition Elle on her own line of size-conscious lingerie available at Nordstrom and on AshleyGrahamCollections.com, launched "Beyond by Ashley Graham," an exclusive dress collection, in collaboration with Dressbarn, and launched her first swimwear collection with swimsuitsforall in May 2016. 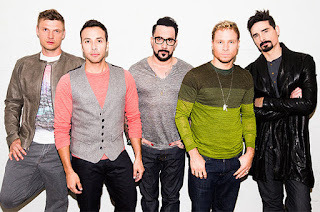 For 23 years the Backstreet Boys, one of the most successful groups in music history, has continually delivered the finest pop music one has to offer, making them one of pop's most influential performers. With countless No. 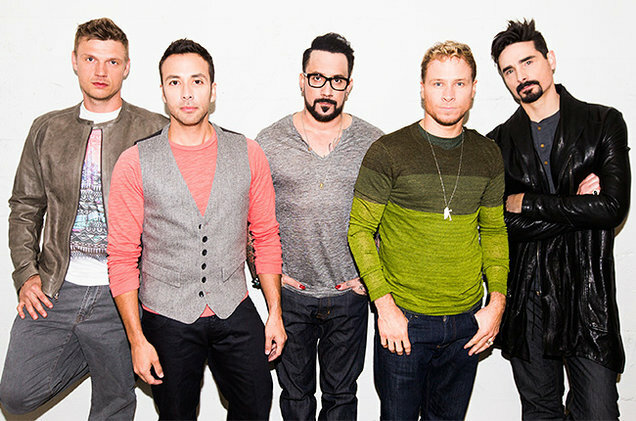 1s, record-setting tours, countless awards and worldwide sales in excess of 130 million, BSB has been recognized as the best-selling boy band in history. In 2013, BSB celebrated their 20th Anniversary with the release of the album "In A World Like This," which saw the group receive a star on the legendary Hollywood Walk of Fame, perform for the President of the United States, and make an unforgettable appearance in the Seth Rogen hit film "This Is The End." Due to the overwhelming demand, the "In A World Like This" world tour was extended multiple times, amounting to what became the group's biggest tour in over 10 years. BSB are currently in the studio working on their next album. 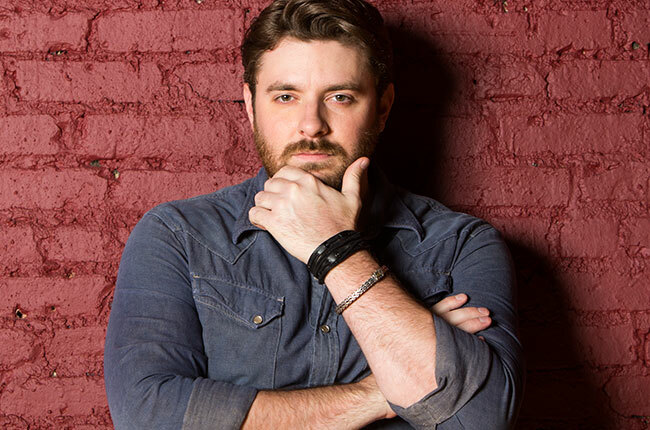 With five albums to his credit, Chris Young has amassed eight No. 1 singles, and 14 Gold/Platinum certifications. Among the RCA Records artist's hits are "Gettin' You Home," "Voices," "Tomorrow," "I'm Comin' Over" and "Think Of You," a duet with Cassadee Pope, Young's latest No. 1 and fastest-rising single of his career. Released in November of 2015 and debuting at No. 1 on Billboard's Top Country Albums chart, Young's first co-produced album, "I'm Comin' Over," also features the new single, "Sober Saturday Night and the three-week No. 1 smash title track. The single and album earned him four ACM Awards nominations, including his first in the coveted Album of the Year category as both the artist and producer, and aBILLBOARD MUSIC AWARDS nomination for Top Country Song. This fall he'll embark on the second leg of his headlining "I'm Comin' Over Tour," with 25 shows from coast-to-coast. Laura Brown joined Harper's BAZAAR in 2005. In addition to securing and conceptualizing Bazaar's cover stories, she has orchestrated some of the magazine's greatest coups: she sentTHE SIMPSONS to Paris, America's greatest designers to SESAME STREET and has made others - thanks to a partnership with artist Liu Bolin - completely disappear. She has also collaborated with directors Martin Scorsese, Steven Spielberg, Mike Nichols, James Cameron, Pedro Almodovar, Tim Burton and The Artist's Michel Hazanavicius on film and fashion portfolios. Brown broke the exclusive interview with Janet Jackson after the death of her brother Michael and has profiled influential women including Hillary Clinton and Michelle Obama alongside celebrities Jennifer Aniston, Sarah Jessica Parker, Drew Barrymore, Kate Winslet, and Jane Fonda, among others. Brown hosts her own Youtube series "The Look" and "In and Out of Fashion," on Apple TV's M2M network. She was a featured judge alongside Iman and Isaac Mizrahi on "The Fashion Show." Joe Zee is currently the Editor in Chief and Executive Creative Officer of Yahoo Fashion. Zee co-hosts FABLife, and has just released his new lifestyle & fashion memoire "THAT'S WHAT FASHION IS: Lessons and Stories from My Non-Stop, Mostly Glamorous Life in Style." In 2010, Zee became host, mentor and Executive Producer of non-fiction series, "All On The Line With Joe Zee." Also on television, Zee has been a judge on reality show, "Stylista," and has had multiple guest spots on "Ugly Betty," "Gossip Girl," and "The City." In film, he was the Fashion Consultant for Ben Stiller and Owen Wilson's characters in "Zoolander." Zee was formerly the Creative Director of ELLE magazine, and prior to that held positions at Details, W, Allure, House and Garden, Vanity Fair and also served as Editor-in-Chief of his own magazines that he conceived at Conde Nast/Fairchild as Vitals and Vitals for Women. Ali Landry is a former Miss Louisiana USA and Miss USA. She became a household name as the Doritos spokeswoman and 1998 SUPER BOWL heartthrob, later earning a starring role on "Eve" from 2003 to 2006, and recurring roles on "Felicity," "Two Guys and a Girl," "Sunset Beach," "Superstars" and "Popular." She also has hosted THE GOLDEN GLOBES Awards pre-show, "Fashion Wrap," the music-talk show "FarmClub.com," "Spy TV" and "Full Frontal Fashion." In film, she's starred in "Bella" and "Little Boy." In 2012, Landry co-created, co-executive produced and co-hosted TV Guide Network's reality series, "Hollywood Girls Night." Crystle Stewart is a former Miss USA. After placing in runner-up positions several times, Stewart won the title of Miss Texas on her fifth attempt. Stewart currently stars in the Tyler Perry sitcom "For Better or Worse." She is a silver medal winner in the 4x400 meter relay during the 1994 Junior Olympics. The University of Houston graduate is a fourth generation educator and teacher. She is also the founder of her own company, Inside/Out. Stewart works closely with many charitable causes including Best Buddies, as a spokesperson for breast and ovarian cancer education, research and legislation, and also has worked as a Special Education Teacher's Aid at Elkins High School.